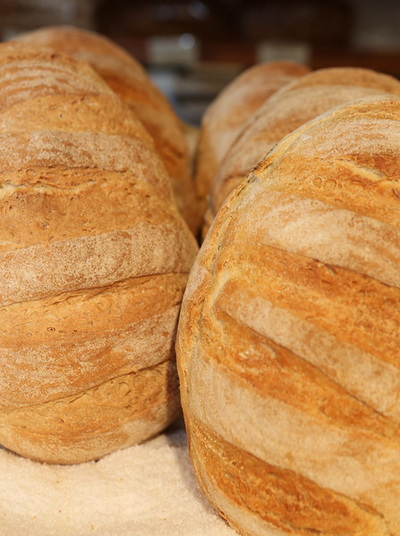 Call us to have your favorite breads shipped right to your home. 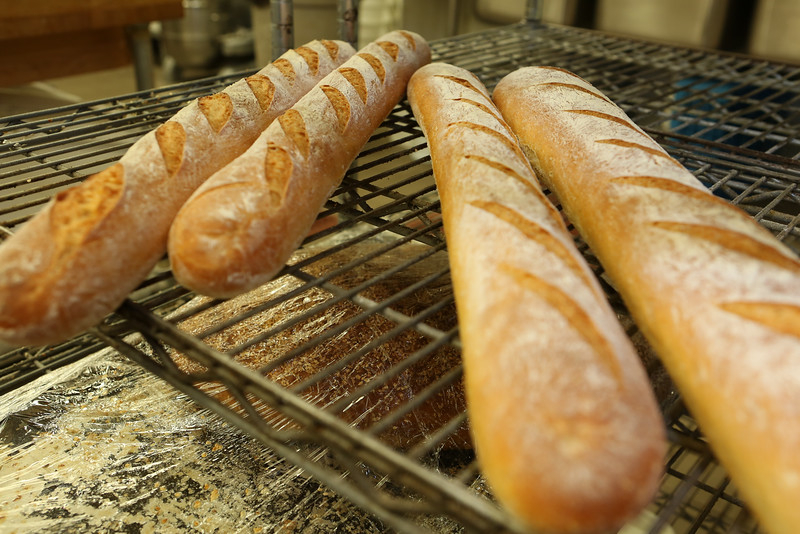 Breads must be special-ordered so we can plan for how many items to bake each day. Door County Bakery Stone Oven Breads™ are a wonderful accompaniment for any culinary occasion. 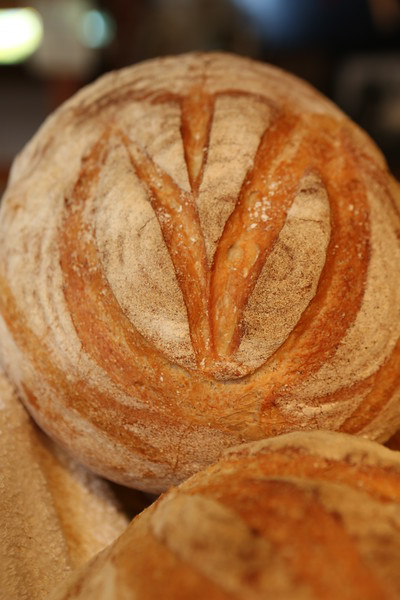 ​A key ingredient in our bread dough is King Arthur's Sir Galahad Artisan Flour which is widely regarded as the best bread flour in the baking industry. 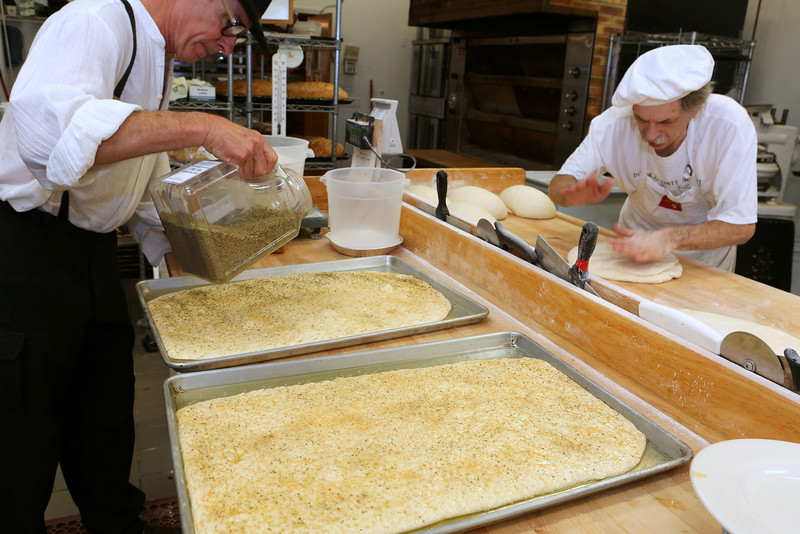 ​In keeping with European tradition, we insist on a lengthy fermentation of our doughs so as to maximize robust flavor in the finished breads. Our famous CORSICA LOAF™ and subsequent collective brand has truly become synonymous with name Door County Bakery. 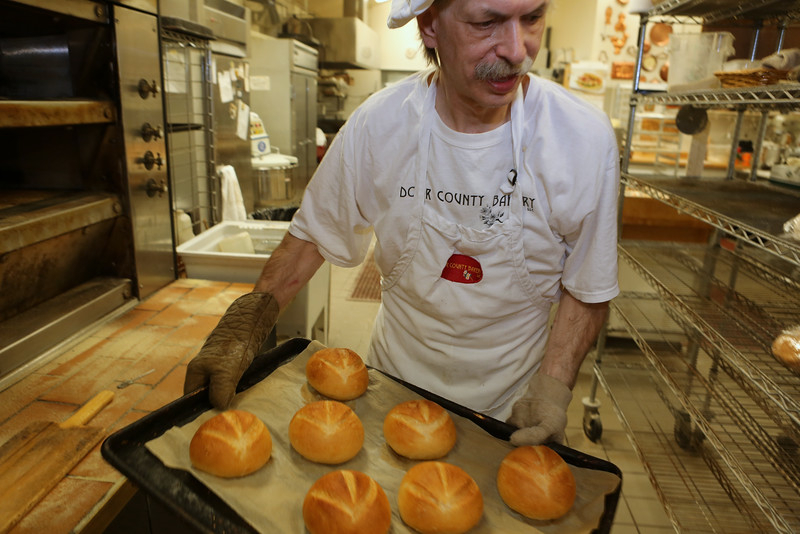 CORSICA LOAF™ involves a high-temperature baking process of the DCB French dough within a bath of our custom blend of olive oils and sesame seeds, and is most assuredly the "flagship" of our establishment. Order a loaf today. 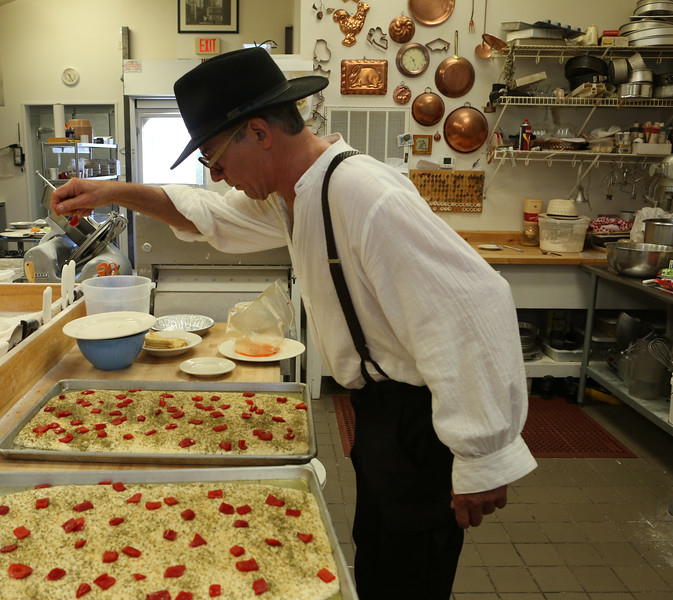 At The Door County Bakery, LLC, one of our cornerstone principals has always been to fully engage to the best of our ability the wisdom of European scratch-baking. 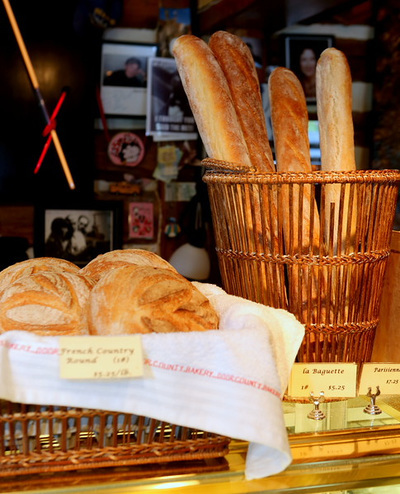 Traditionally throughout Europe, the professional bread-baker sees to it that when making bread, the yeast within the mixed dough is given a fermentation time of at least 18-20 hours before beginning the bake. 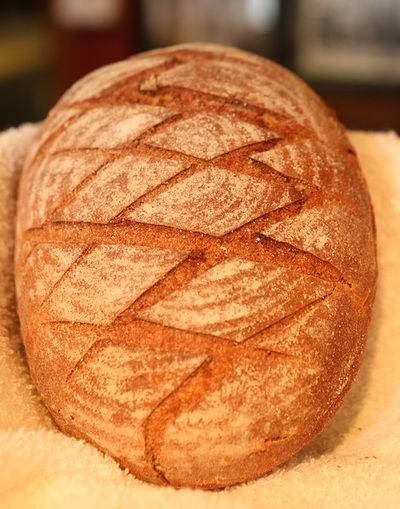 In effect, this greatly helps to break down the gluten fibers in the flour, and to develop enhanced robust flavor in the finished bread. ​French Baguette 3/4 - 1 lb. flute (18") French dough. Brandenburg Rye 1 1/4 lb. slightly less dense German rye made with finely ground caraway seed. 1 1/4 lb. 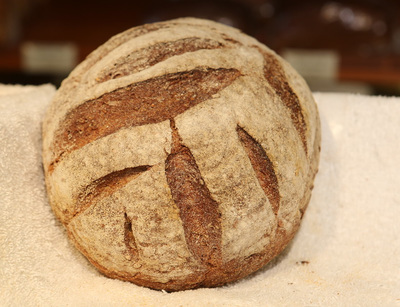 slightly less dense German rye made with finely ground caraway seed, also based with the use of the DCB rye sour. Parisienne 1 1/2 lb. flute (18") French dough. Holland Rye 1 1/4 lb. dense, crusty Northern European style rye bread made with whole caraway seed and based with the use of our now 15 yr. old rye sour. 1 1/4 lb. 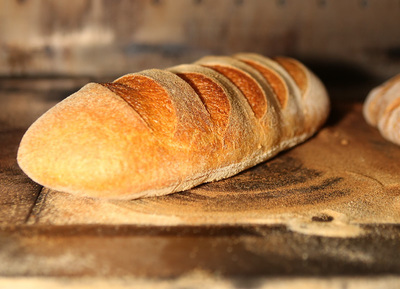 European-style sour dough Stone Oven Bread™ (milder than the classic San Francisco sours). Whole Grain Round 1 lb. or 1 1/2 lb. 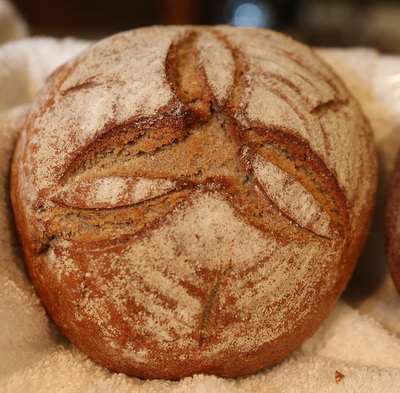 7-grain Stone Oven Bread™ made with flax seed and molasses. 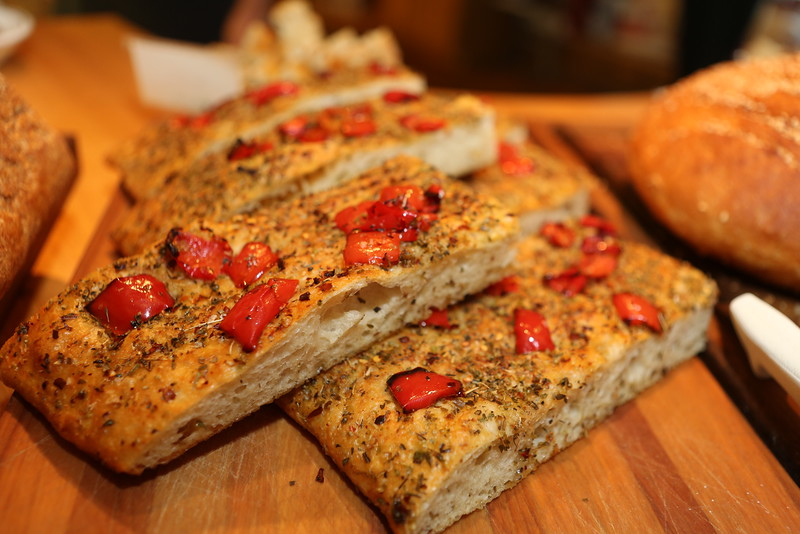 Door County Bakery Spicy Focaccia is a low-rise fermented bread, delightfully spiced with a rich custom Italian blend (moderately peppered with red flakes). We produce this product as a 5 lb. rectangle and then sell it by the pound.